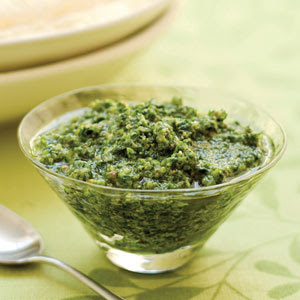 We LOVE Italian food, and especially pesto. It's great on pasta, eggs, chicken, anything! Here is a classic recipe. 1. Process all ingredients in your food processor while slowly drizzling in olive oil.